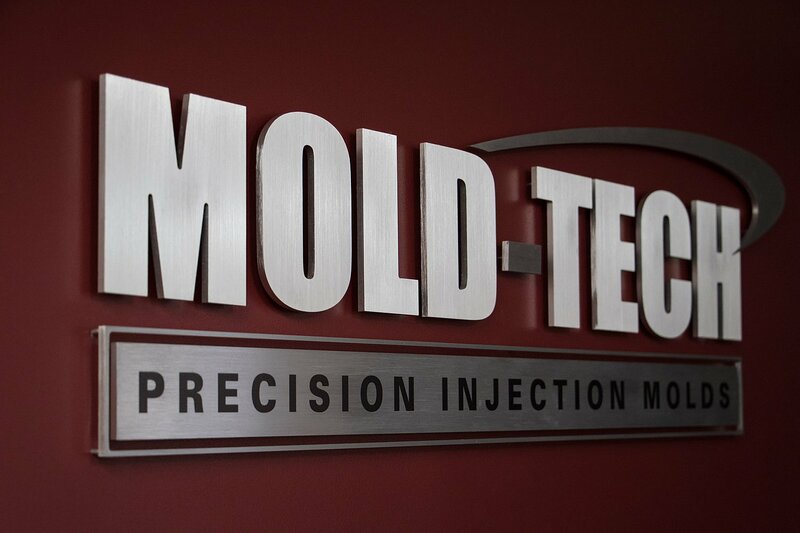 Mold-Tech Inc. partners with the best custom molders and OEM’s, manufacturing the finest small- and medium-sized molds in the industry for a variety of markets, including medical, automotive and defense. Your success is assured from your first contact – through careful planning with strict attention to every detail. Our dedicated project managers collaborate with you and your team as a single point of contact, maintaining effective communications throughout each project. Our skilled mold design team combines a wealth of experience with the latest technology. 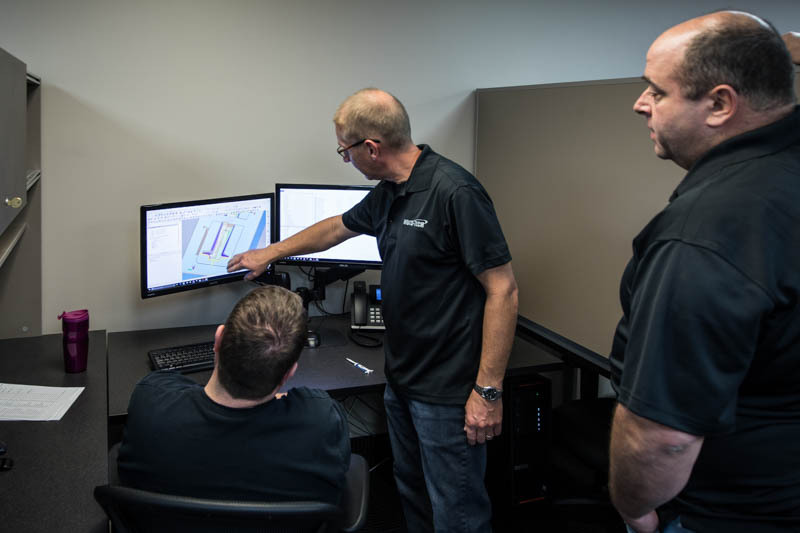 Design for manufacturing, design control, in-house mold-flow analysis, and regular comprehensive design reviews ensure an optimal mold design that delivers on our promise of excellence. Production planning and tracking keeps your project on schedule with on-time delivery, getting your products to market fast. Assembled Mold BaseYour molds are built by skilled American craftsmen using the latest high-tech equipment in our spacious Albertville, Minnesota, facility. This knowledgeable team combines extensive training, technical education and experience, with a passion for delivering you a superior product. We invest continually in equipment and highly automated systems to produce consistent, highly accurate results in less time. 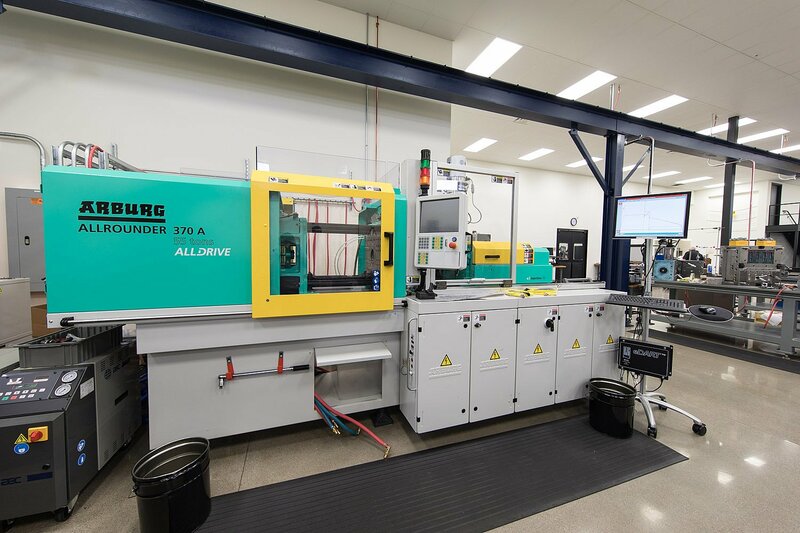 Ultra-precise hard milling, electrode manufacturing and EDM machines are all combined with robotic automation for more unattended machine time and higher productivity. Mold components are engraved or laser marked for easy identification and service. Precision Inspection - Our climate-controlled metrology lab is fully equipped with CMM, SmartScope, microscope and moreQuality systems are an integral part of our manufacturing process. 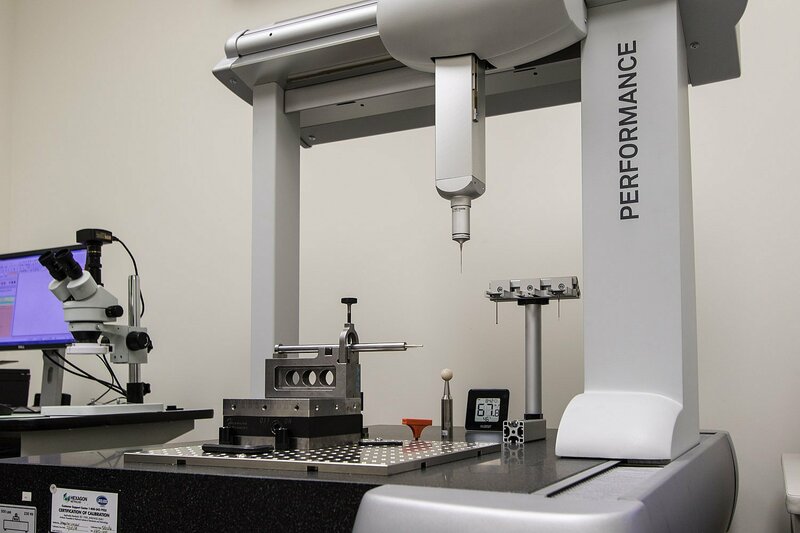 Our in-house metrology lab uses both CMM and vision systems to verify the accuracy of critical components. The ISO 9001 compliant quality system tracks all systems and ensures our strict standards to deliver a quality mold every time. In-house Mold SamplingIn-house mold sampling is much more than just molding parts. Our RJG Master Molder-certified staff are molding professionals, trained in the most advanced techniques and equipped with in-house eDART capabilities to visualize and quickly optimize your mold’s performance. Mold-Tech focuses on production-ready molds, saving our customers time and money. With laser welding, we can create precise welds in difficult-to-reach areas of a mold. In-house laser welding allows for quick turnaround times on repairs, which reduces downtime for our customers. The injection molds repaired by Mold-Tech range from small to medium size. Experienced mold builders quickly assess the repairs necessary to bring an injection mold back into service. Laser marking can be used to brand, serialize and create markings and deep engravings on tools, molds and mold cavities. 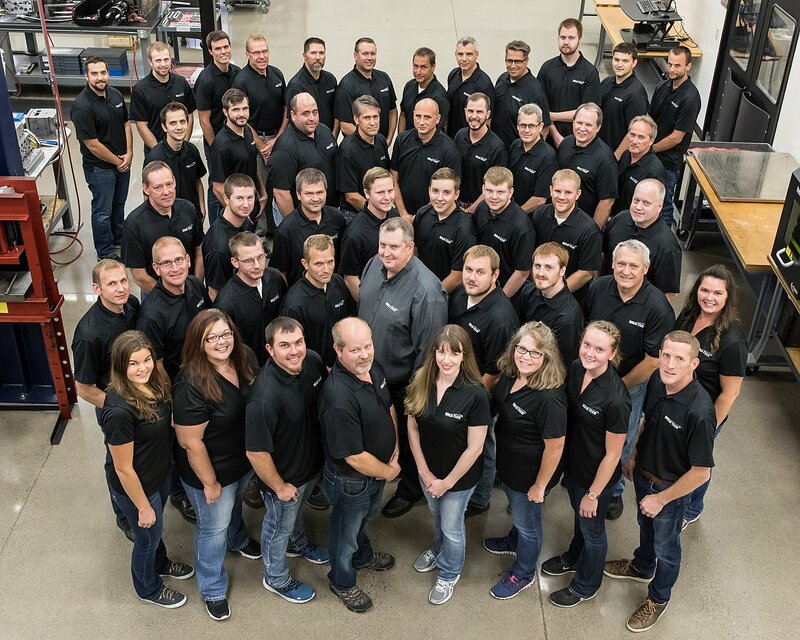 The Mold-Tech Team, partners you can count on for proven results.At Mold-Tech Inc., we strive to make every customer a client for life through superior quality and support. 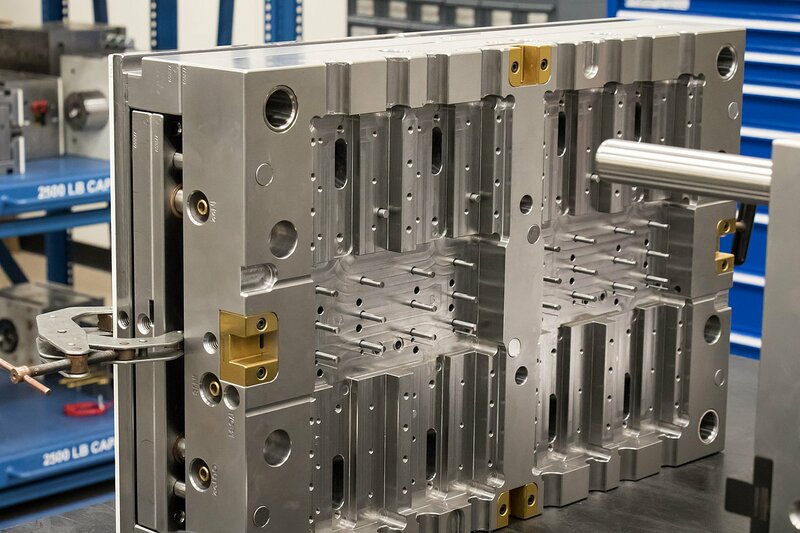 Mold-Tech molds are built to a higher standard, easily serviced anywhere in the world because of components made to the numbers, and carefully documented. You get exceptional value, a quality mold delivered on time with superior service and support through the life of the mold.